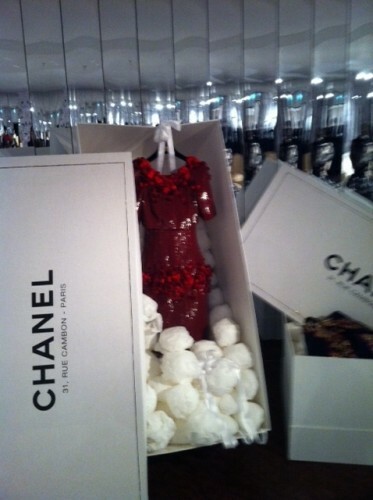 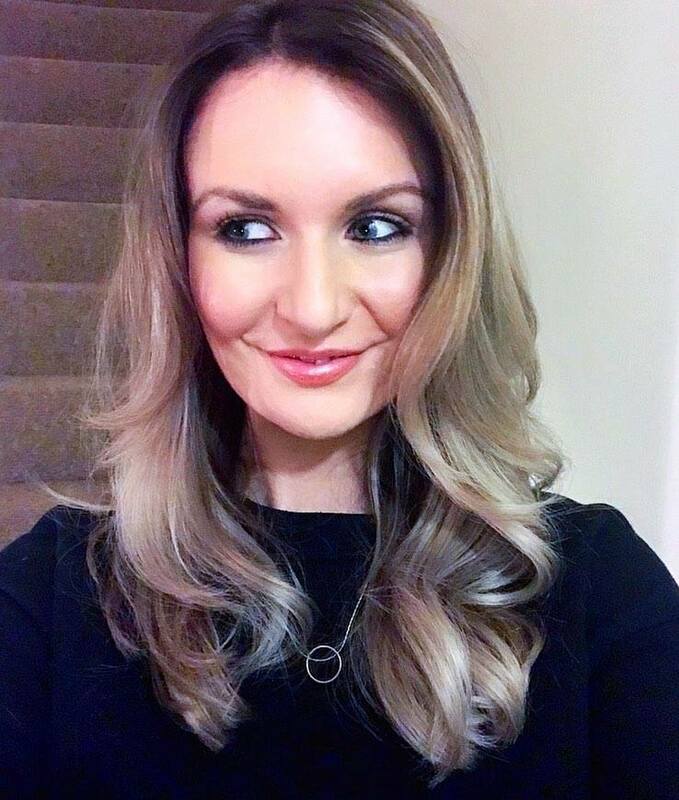 Last weekend I visited Chanel World at Harrods, and it was every bit a magical wonderland as I had hoped it would be. 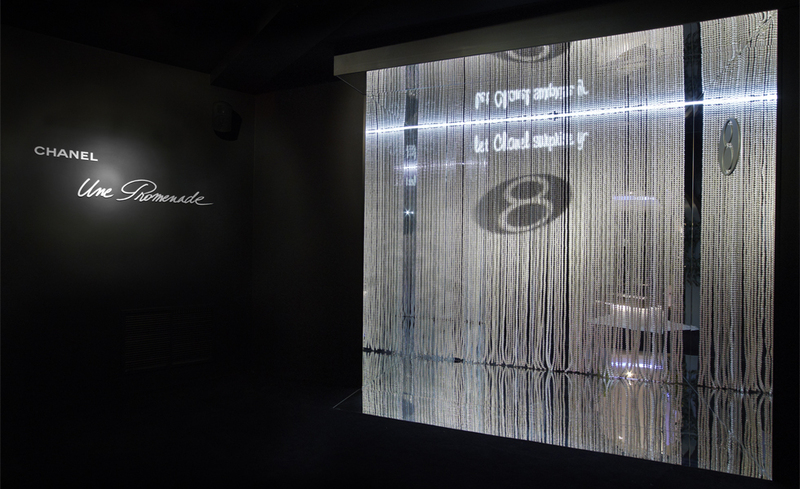 There are signs throughout the store directing you towards the museum space, and once you finally get there you enter through a pearl beaded curtain into the 'Camellia Garden'. 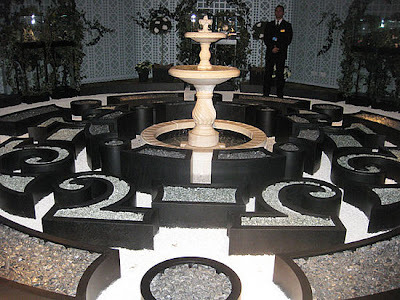 Once inside the Camellia Garden, I was faced with a beautiful fountain along with a watering can and wellies. Surrounding the fountain were frames and glass cabinets, entwined with twirling ivy, showcasing stunning fine jewellery pieces, twinkling and sparkling away. 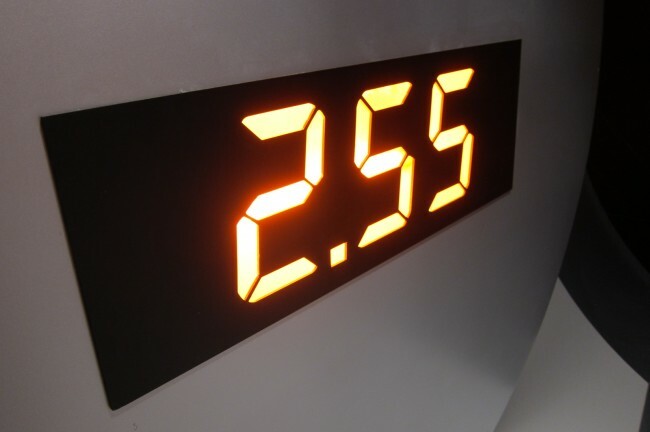 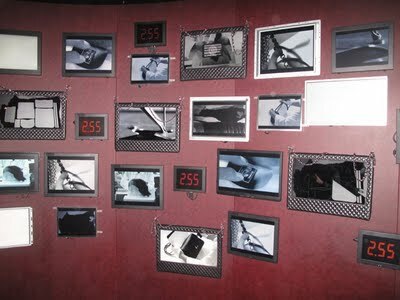 Next I entered the 2.55 room, where a multitude of screens were displayed on the wall showing footage of the making of the classic, quilted chain bag. 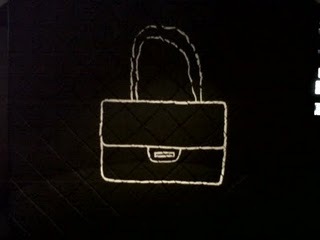 Before entering the room there was a black, quilted, leather wall with a sketch of the bag, making it seem as though you were entering the bag itself. 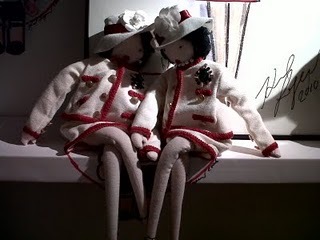 The adorable and fairytale like doll house room comes next, complete with Chanel look-a-like rag dollies, life size Gabrielle mannequins and teddies dressed in hand made Chanel suits and boots-sent of to Paris especially to be custom made! 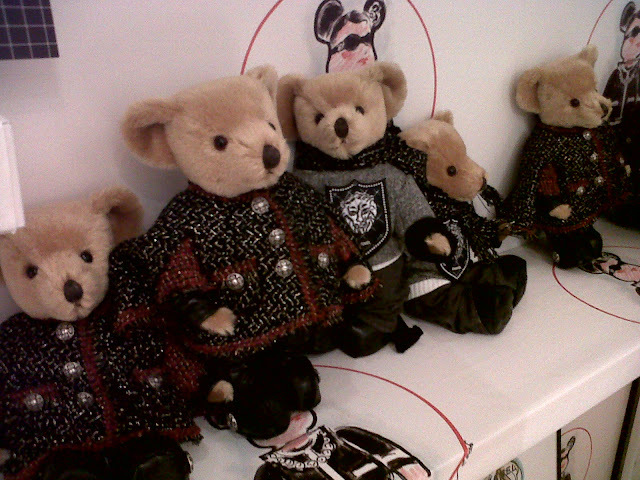 All this was accompanied by the twinkly chimes of children's nursery rhymes. This was one of my all time favourite rooms. 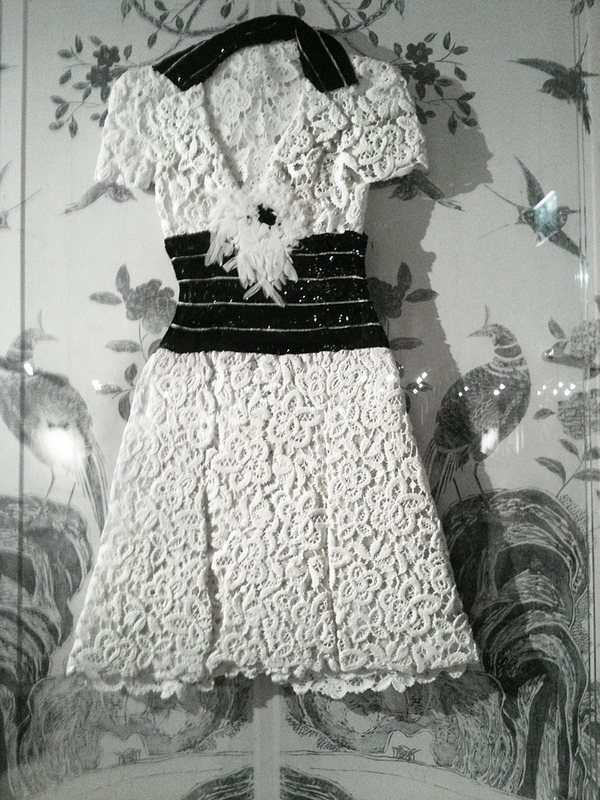 Next up was a beautiful replica of 31, rue Cambon, Paris- Chanel's apartment. 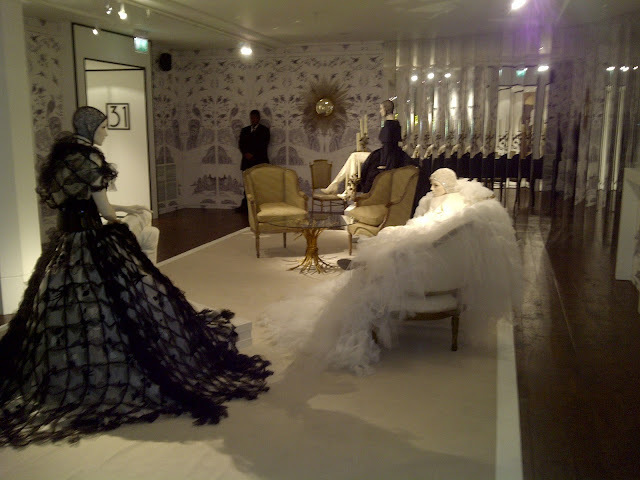 The room was exquisitely decorated in ultra feminine black and white peacock and humming bird printed wallpaper, mirrored walls, perfectly polished mannequins dressed in the most delicious haute couture dresses you have ever seen-think black and white flowing cascades of frothy tulle, lace and chiffon, along with huge dress boxes filled with more stunning couture and selected pieces framed and displayed on the walls. This was my other favourite room. 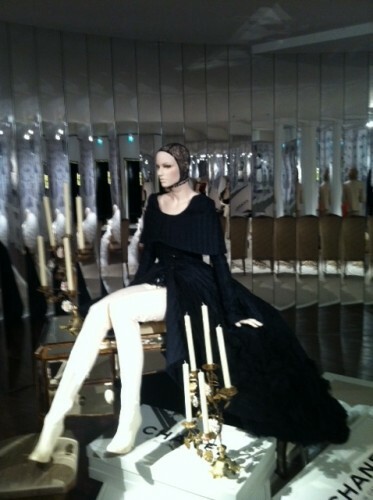 It just screams Parisian boudoir and exudes classic Chanel; classy, elegant and magical. 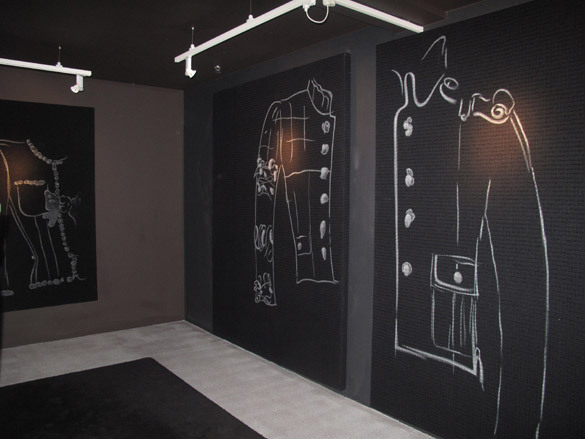 Then onwards to room 54, which consists of a room wholly dedicated to the iconic tweed jacket, with hand drawn jacket designs which are floor to ceiling scale, drawn by none other than Karl Lagerfeld himself. 1954 was the year in which Chanel created the jacket, hence the room name, 54. 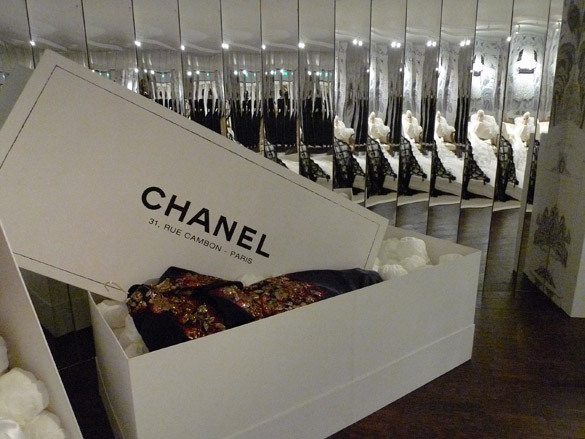 I then entered the 'library', where the whole room is wallpapered with images of full bookshelves, coffee tables piled with every type of Chanel book ever written and created, along with comfy leather sofas to sit and read. 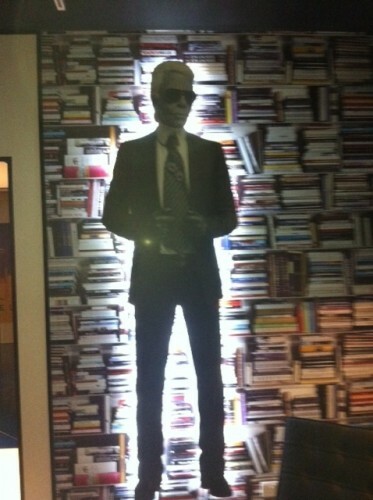 The magic of this room was the voiceover of Lagerfeld and a holographic image of him among the books. Coming to the end sees the Chanel no.5 room dedicated to the all time, most classic fragrance. 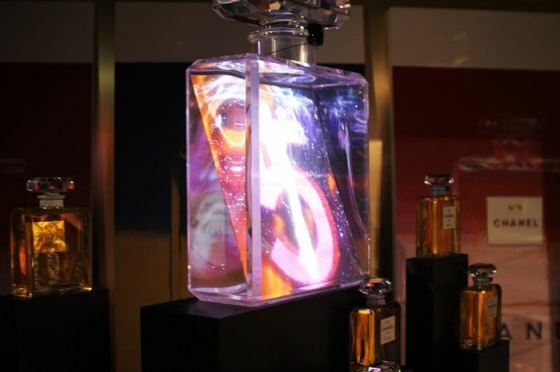 The room is complete with various sized bottles of the perfume, huge Andy Warhol colour prints of the bottle and the No.5 adverts being played through a huge glass bottle acting as the screen. 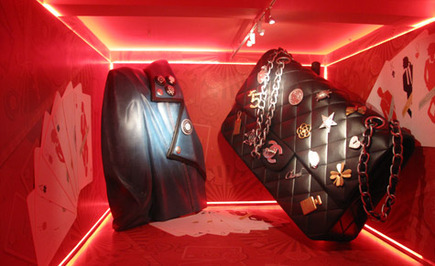 The final room I entered was the 'card room', displaying enormous playing cards along with even bigger replicas of a Chanel jacket and the 2.55 handbag. I would truly recommend visiting the museum while it is still there, as it really is something else; I had only been in there for about 10 minutes but when I stepped outside back into reality I felt like I had been in a surreal, magical dream and gone back in time! 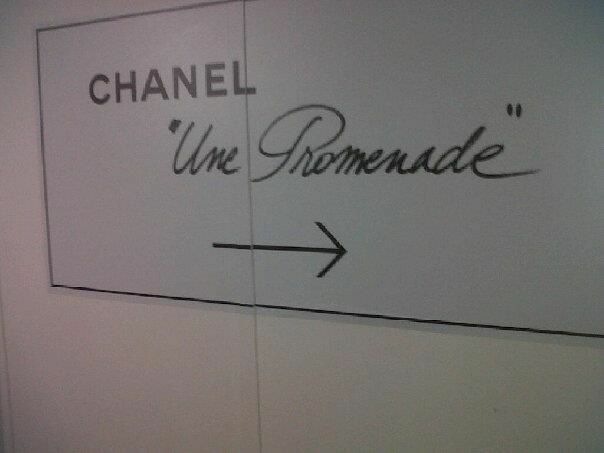 Well worth the trip.